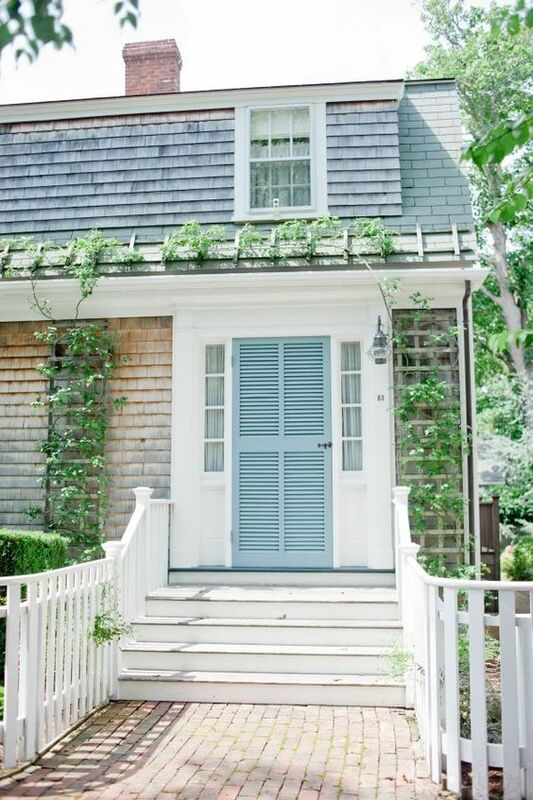 We literally could not be happier that Summer has arrived! 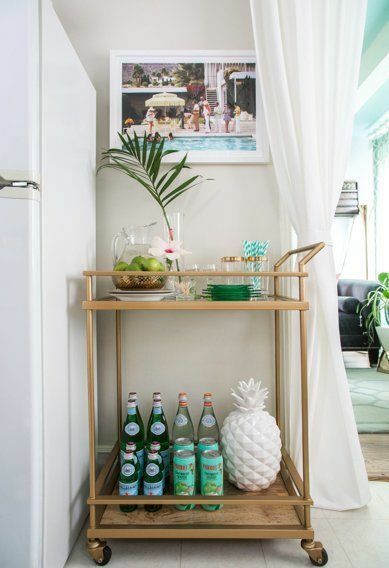 Bring on the sunshine, beach days, and piña coladas! 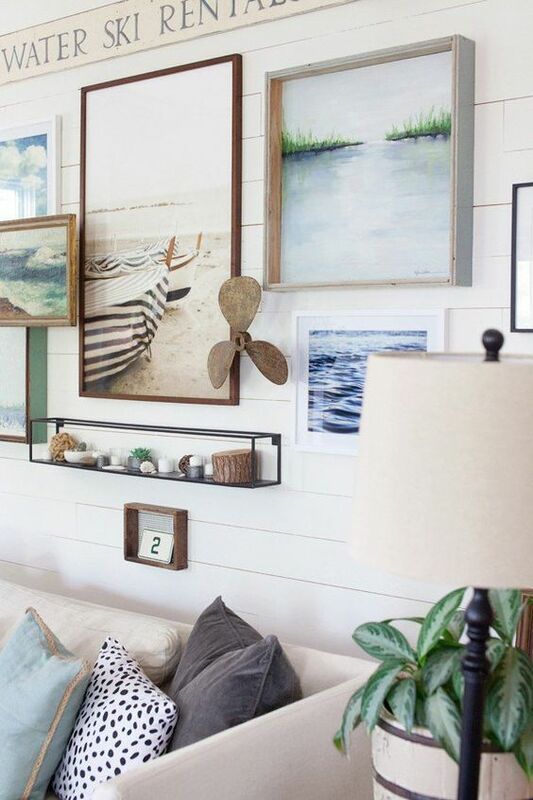 Here are some of our favorite beach house decor ideas of the season. 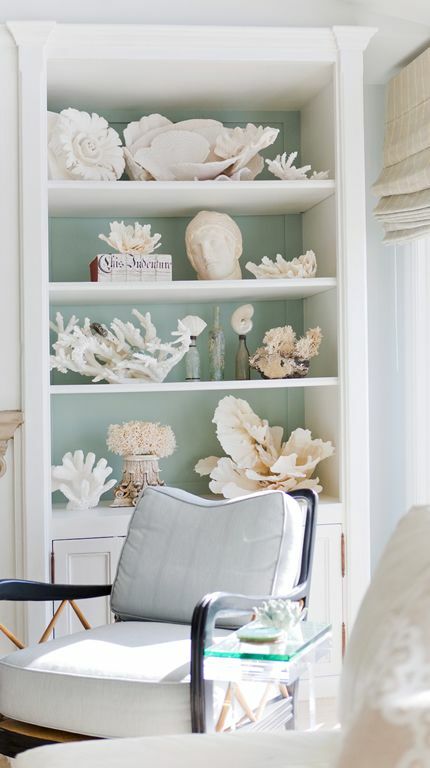 If you are looking to add new spice to your beach home, nautical details are key. 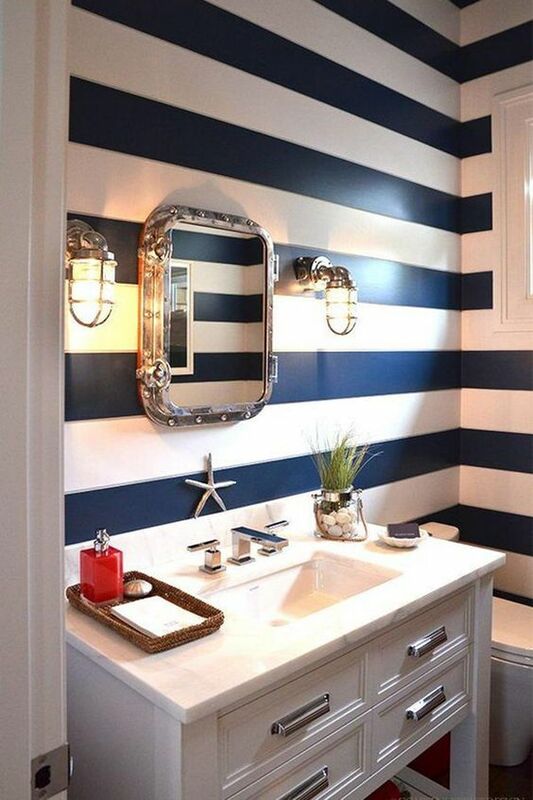 One way to introduce nautical details is through wallpaper! A quick wallpaper change can do wonders. 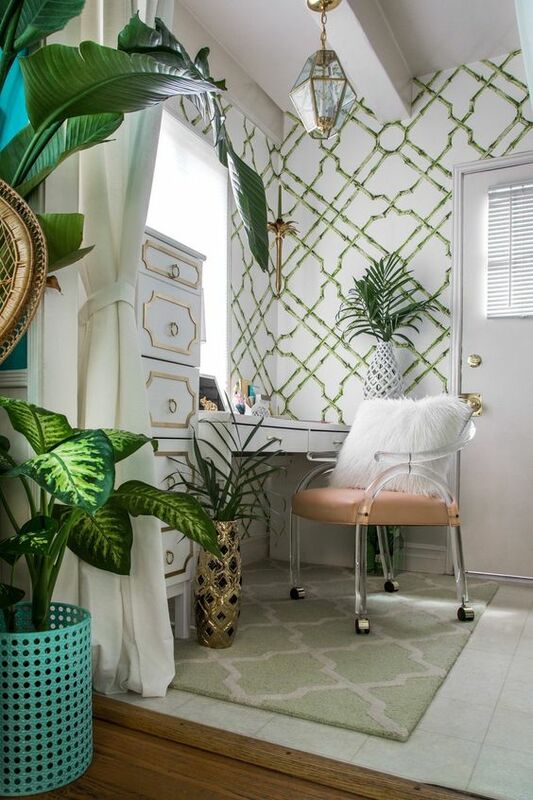 Here are some fun room shots that prove the magical power of paper! 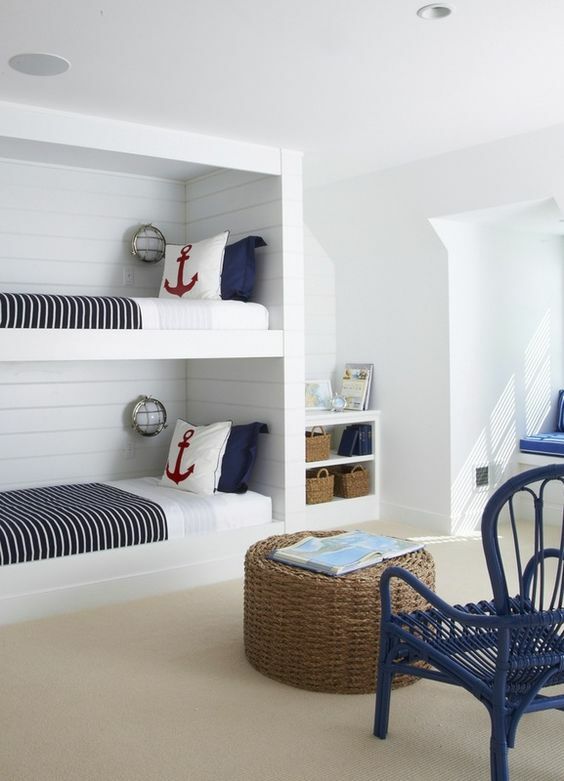 We’re obsessed with the framed kids’ bathings suits on the wall below! 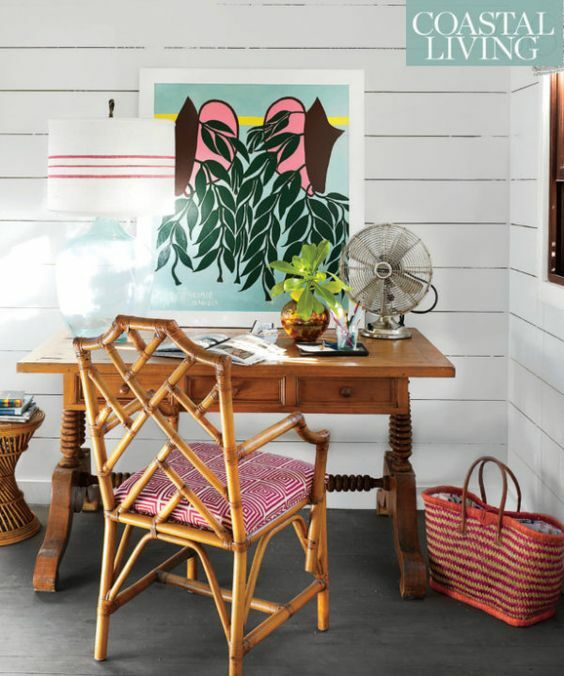 So creative and (of course) beachy. 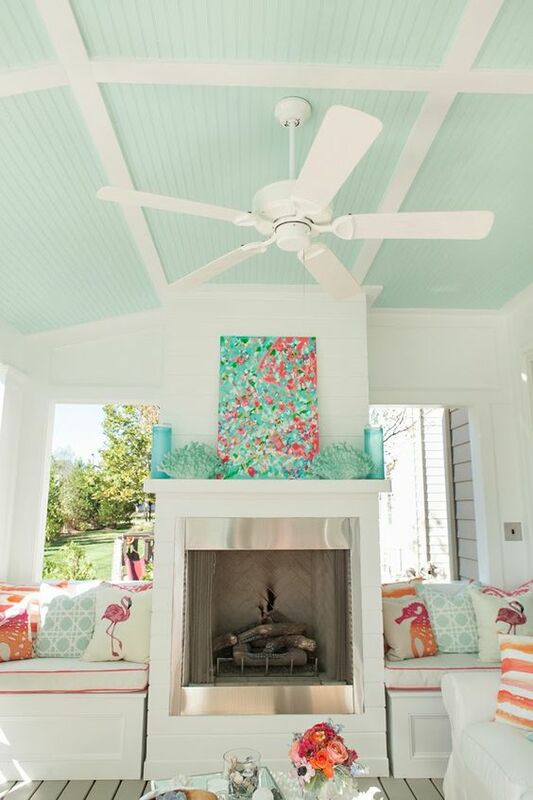 Turquoise and coral are our favorite beach house-ready colors, but you can apply this concept to any color you find to be tropical and summery. 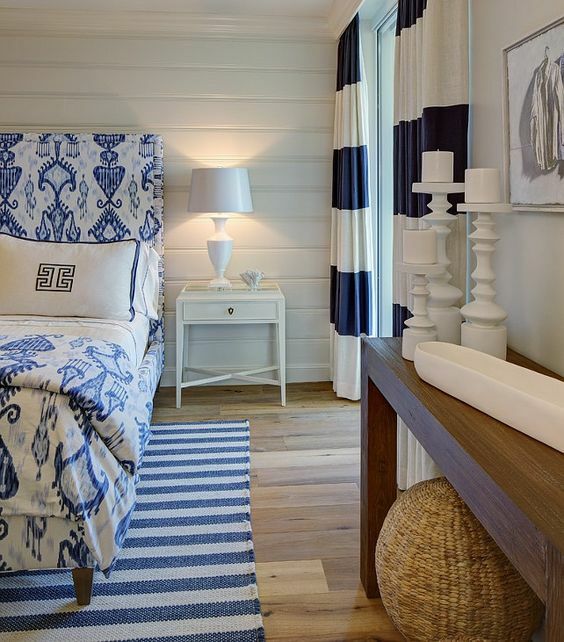 We can’t get enough of the fabulous headboard below accented by the grasscloth ceiling! 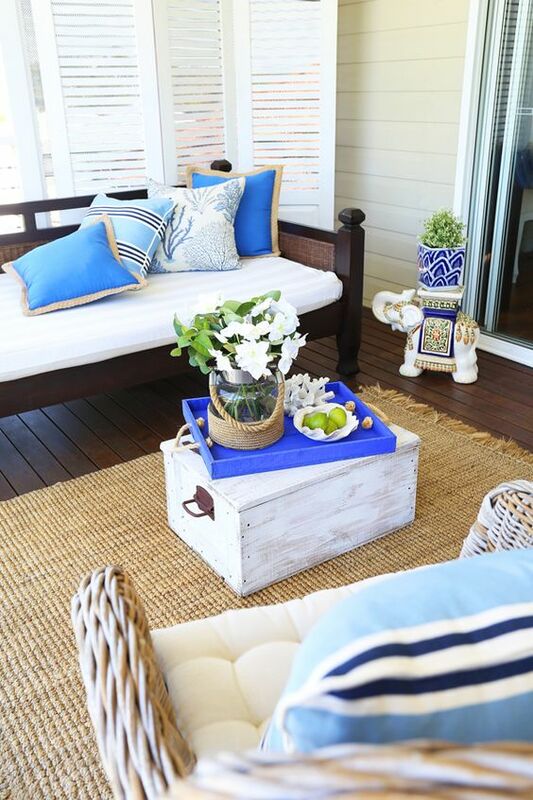 The sprinkling of natural elements such as coral and bamboo throughout your beach house adds a beachfront feel to the decor. 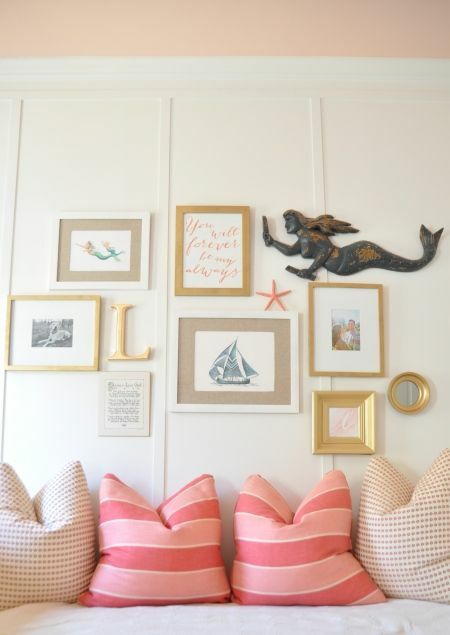 Scroll for ideas galore! 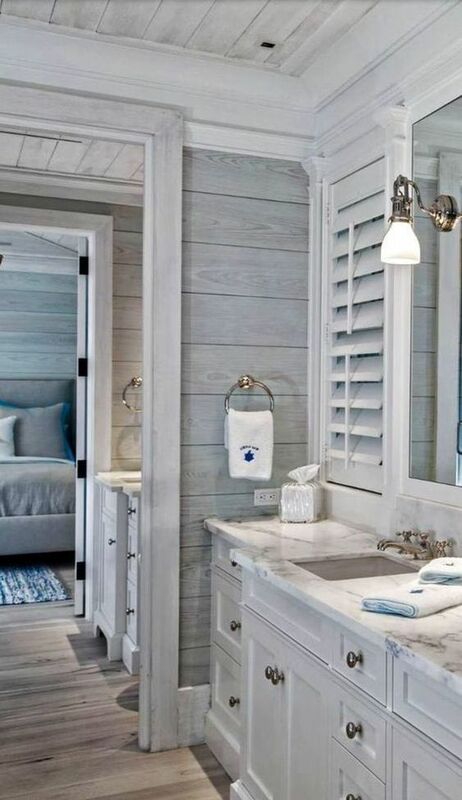 When you are looking to achieve a coastal feel in your home, it is important to pay attention to the architectural details. 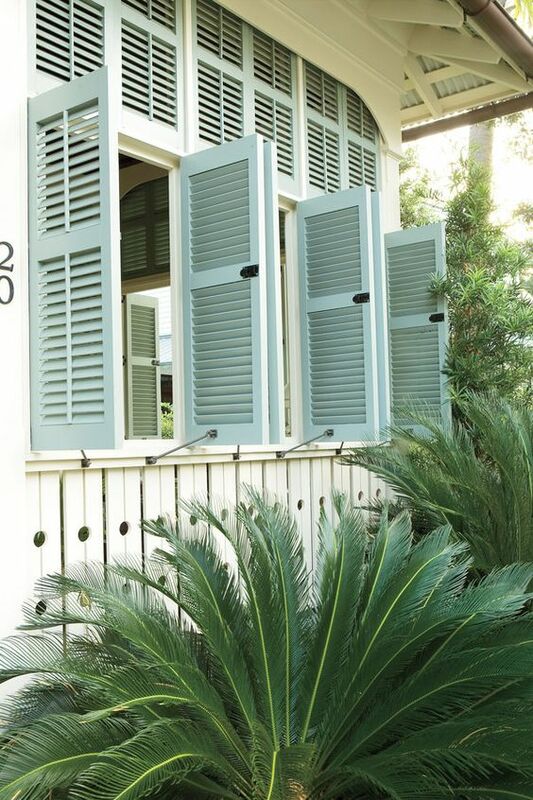 A quick way to add a touch of beachside architecture is to add a louvered doorway or louvered shutters. 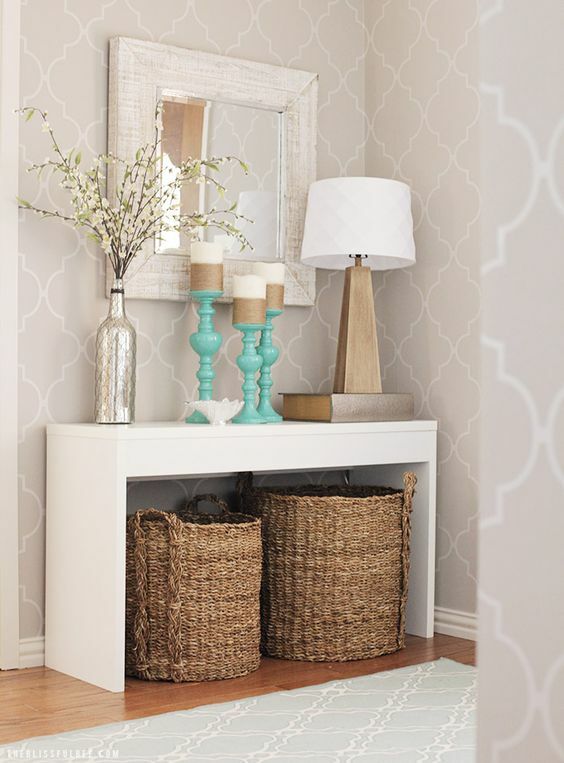 This can be done quite easily on a tight budget or in a time crunch. 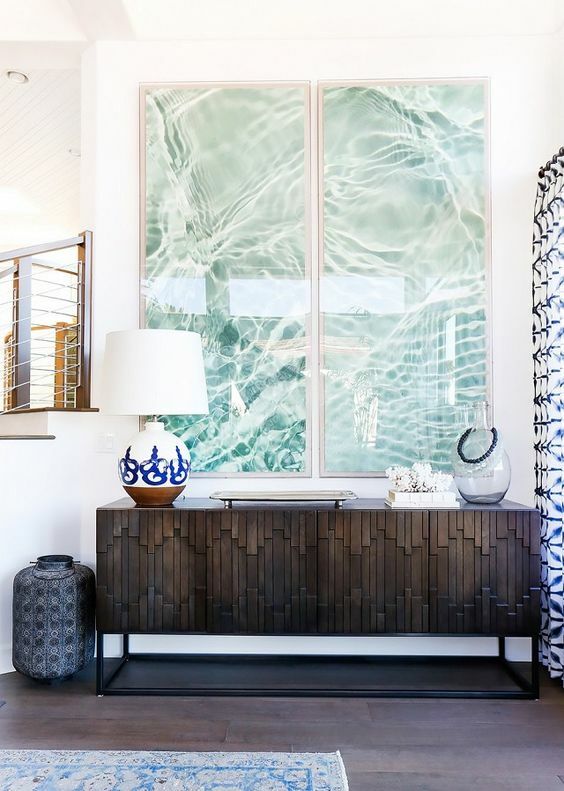 Try adding a louvered room divider as seen below! 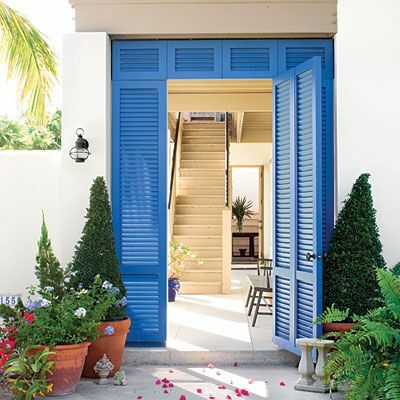 We love the Caribbean Blue shade on the doors below! 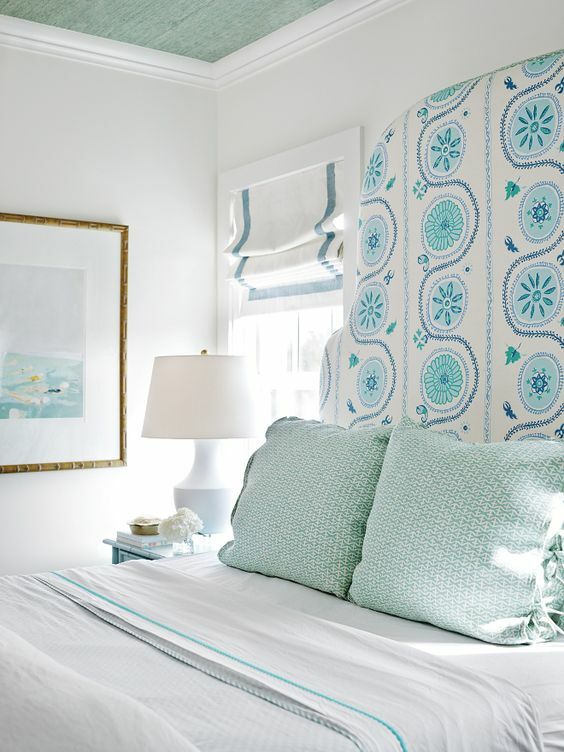 Another creative way to achieve the louvered look – DIY a headboard with a repurposed louvered door as seen below! 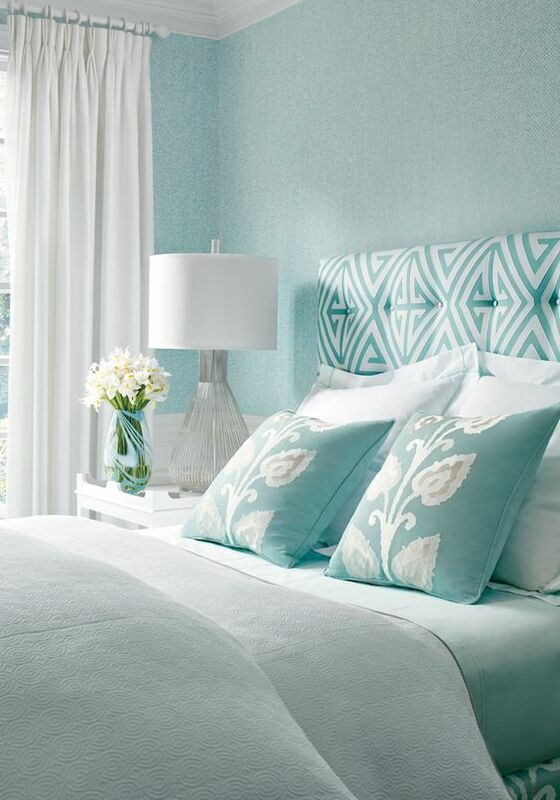 We love the light blue shade. 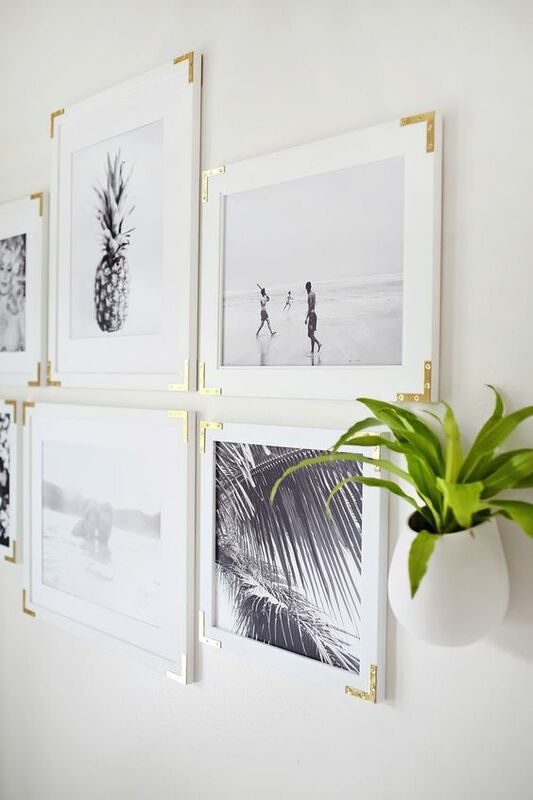 Whether you are decorating your second home or just looking to add Summer charm to your primary residence, fresh wall art is an easy update! 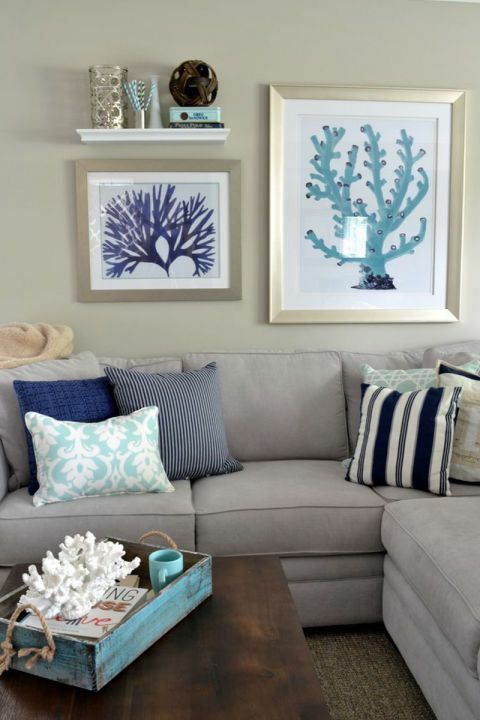 You can completely change the aesthetic of a room by changing up the wall art. 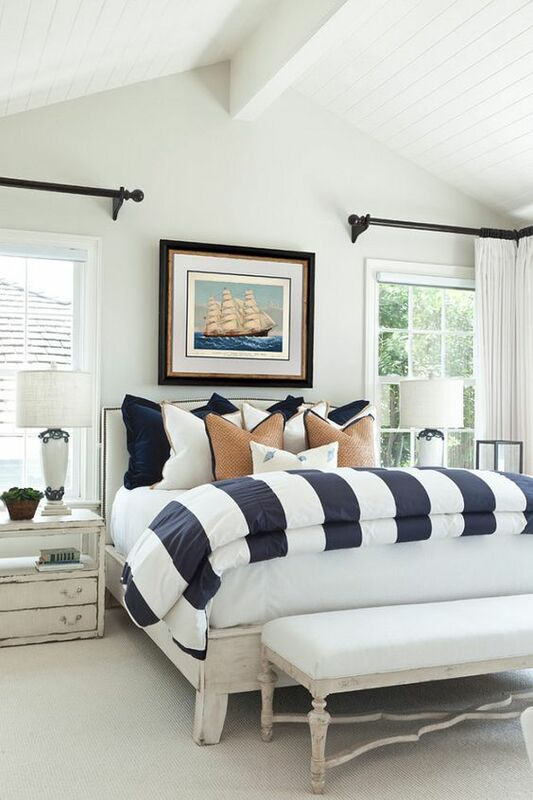 Used in the right setting, stripes can give a room a perfectly nautical touch! 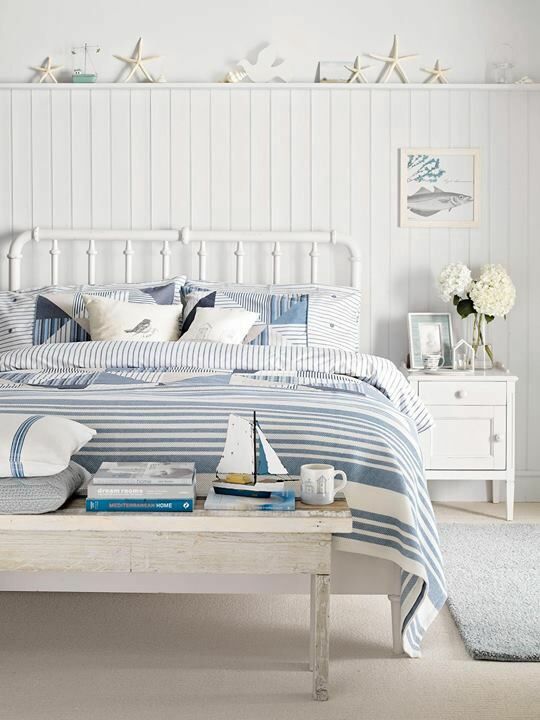 Hmmm – we aren’t sure, you’re best bet would be to email them (Emporium Blog) to see if you can get an answer about the bedding! 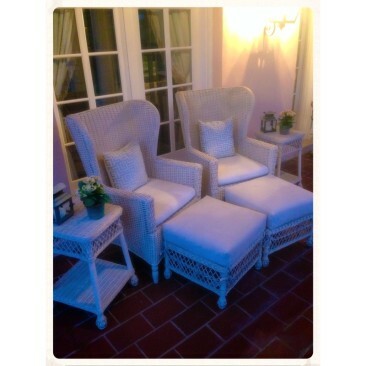 It’s pretty! 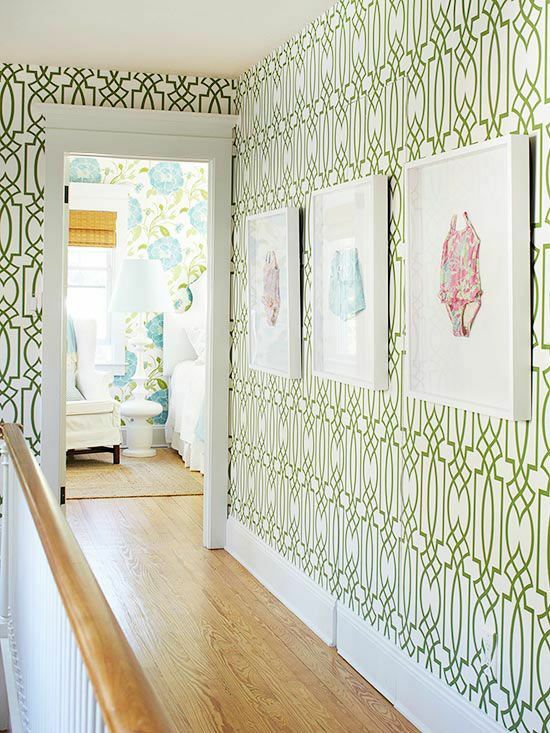 I’ve always loved the use of patterned walls throughout a space, and I think they look great in these houses. 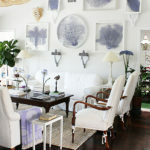 I’ll definitely have to keep these ideas in mind for my home. Thanks for sharing the ideas! 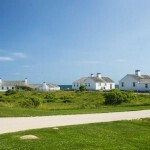 all i can say is ‘WOW”! 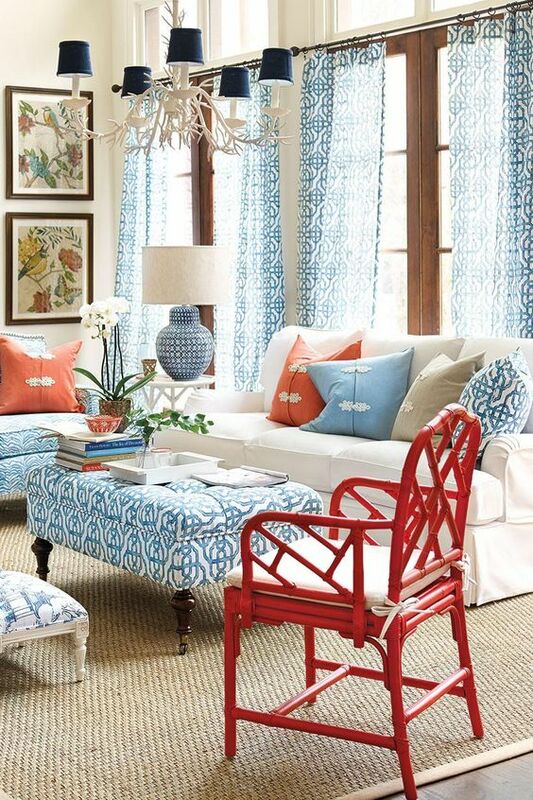 I am so inspired by this page. 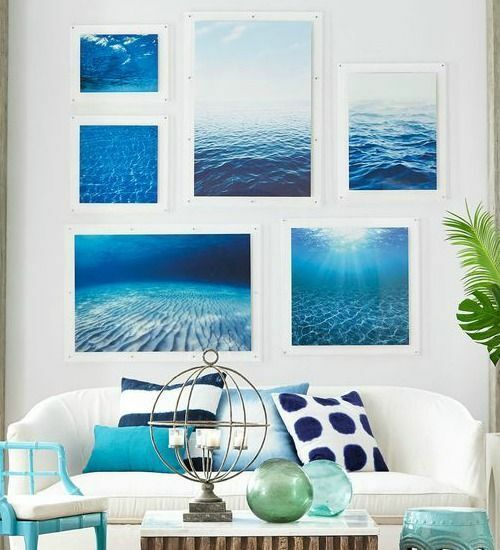 Every picture excudes the feeling of relaxing near the water. This will be my new muse. Thank you and keep up the great work. 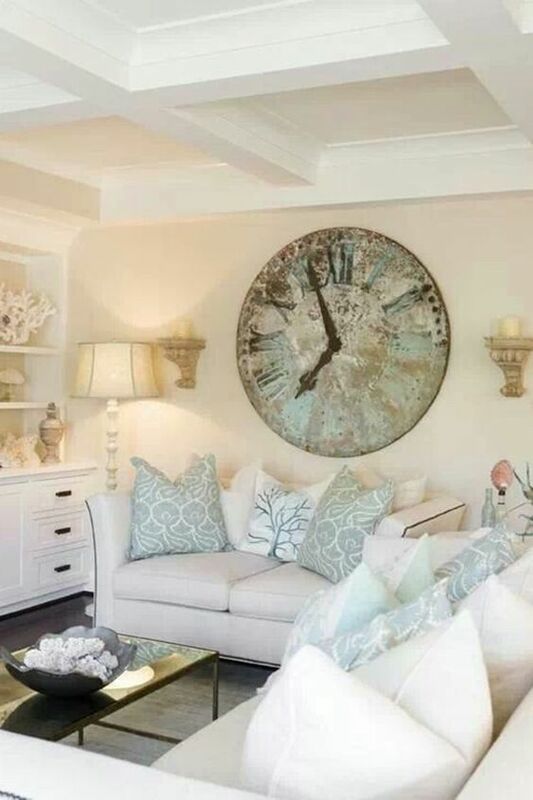 Love everything… except when designers ‘cat ear’ the pillows. Argh! 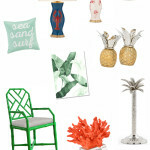 I LOVE this blog and am so inspired for all your beach look ideas! 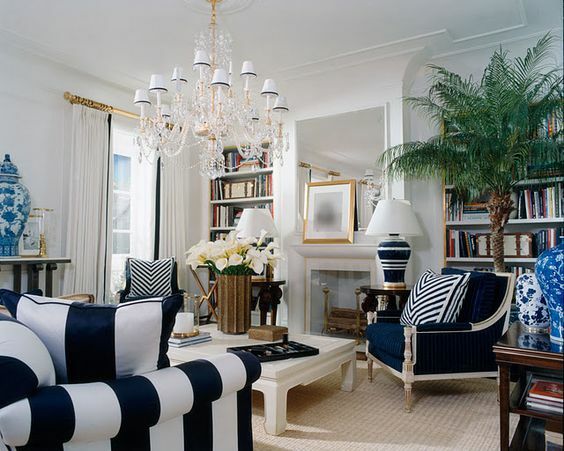 Do you by any chance know where to purchase the blue and white rug and pillow in that fabulous living room with the unique gnarled root chandelier? 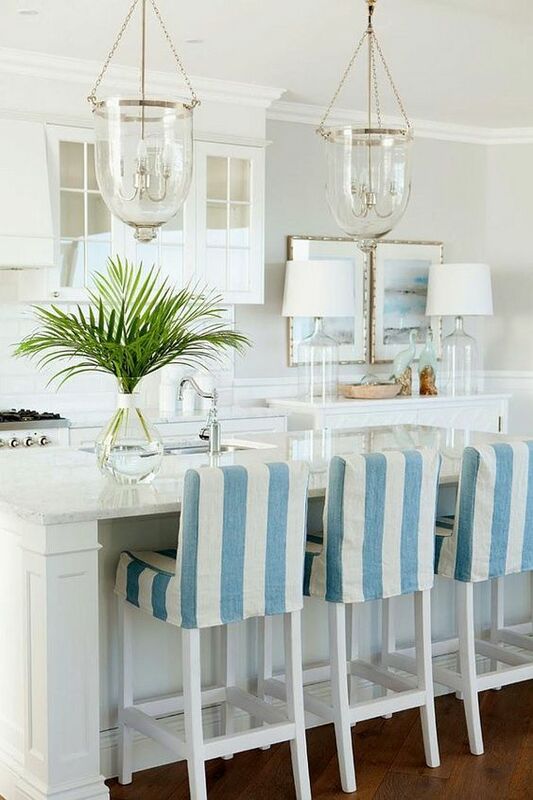 It’s the 12th photo down the scroll marked Image: Distinctive Window Treatments? I tried to locate it as a blog or company. Thanks for any help!